With the launch date of the massive camera phone from Sony nearing, the speculations about the device are mounting. Now the device has been spotted at the Chinese FCC. 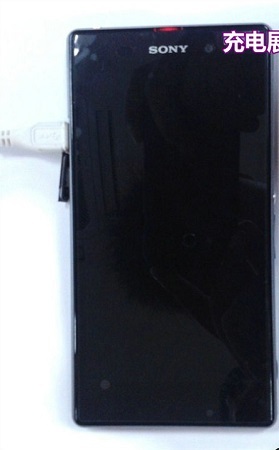 According to sources, the Sony Xperia Z1, which was known as the Sony Honami i1, was allegedly spotted at the Chinese FCC, Tenaa. While we are not expecting anything controversial, the sources only confirmed the already known specs of the device. The 20 MP camera of the device has also been mentioned. In the meanwhile a photo has just appeared claiming that the Sony Xperia Z1 would feature a dedicated LED notifications light, which is a little hard to believe as the company is generally cautious about its high end models. The Sony Xperia Z1 is supposedly going to be launched on September 4, on the same day as the launch of the Samsung Galaxy Note 3.